Get the summer started right with International Joke Day on July 1! Your teens will love celebrating World UFO Day, learning how to document their Fourth of July celebrations with “light paintings,” finding out about exciting new book releases and embracing their geekiness. 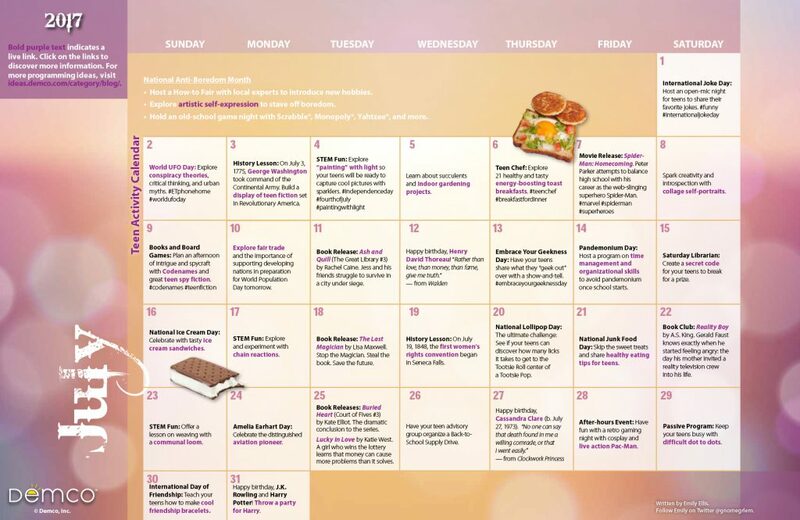 Download the Teen Activity Calendar for more great ways to celebrate in July (National Ice Cream Day, anyone?). Download a printable 11″ x 17″ version of the July 2017 calendar. 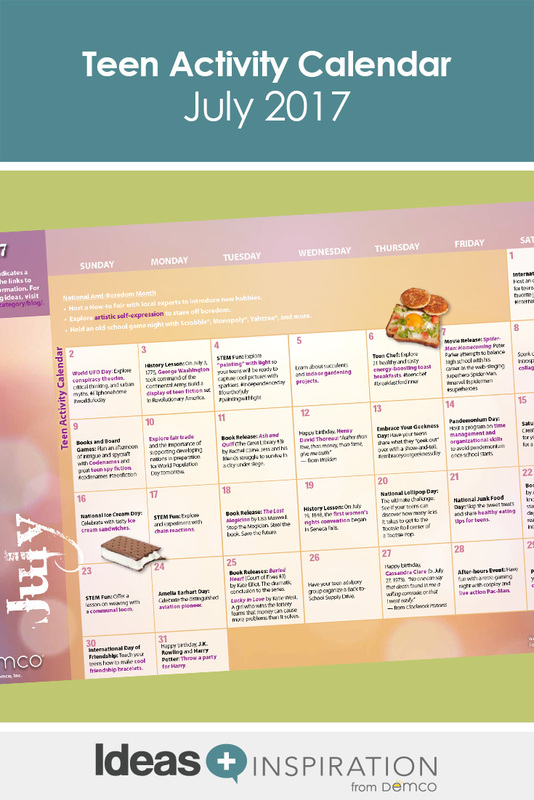 Download a printable 8 1/2″ x 11″ version of the July 2017 calendar.